Dr. Janelle Beadle, PhD, is an Assistant Professor in the Department of Gerontology at the University of Nebraska at Omaha. She is also a recipient of the 2018 Great Plains IDeA CTR Scholar Award. Get more information on her study HERE. Magnetic Resonance Imaging (MRI) Scanning is a type of scan that uses strong magnetic fields and radio waves to produce detailed images of the inside of the body. The scanner itself contains powerful magnets that can examine nearly every part of the body. The results of an MRI scan can be used to help diagnose conditions, plan treatments and assess how effective previous treatments have been. 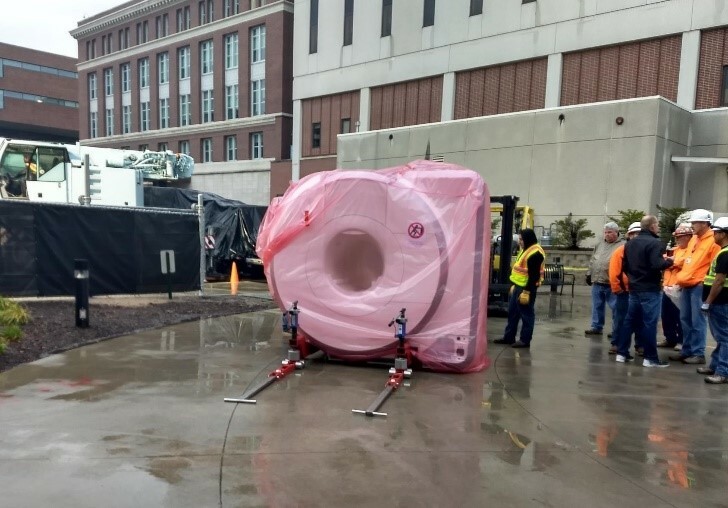 Thanks to a financial partnership between the Great Plains IDeA-CTR Network, the University of Nebraska Medical Center, and Nebraska Medicine, we now have a state-of-the-art version of the device available to us for research purposes. UNMC Chancellor Jeff Gold, M.D., said the scanner was “truly a game changer,” adding that it will “help us unlock the mysteries of the brain and hopefully provide some answers to complex neurological problems such as Alzheimer’s disease and Parkinson’s disease, which presently don’t have any real solutions.” Until now, the Nebraska has not had such an advanced piece of equipment of this kind available to use for treatment or research. This acquisition has opened a whole realm of research opportunities not possible before. Tony Wilson, Ph.D., director of the Magnetoencephalography Laboratory at UNMC/Nebraska Medicine stated, “This advanced imaging tool will allow investigators from around the region to examine the precise structure, function, and chemical composition of all parts of the body, but especially the brain…we know far less about the brain compared to the heart and other organs.” This is a great asset available to not only UNMC/Nebraska Medicine but to all biomedical researchers throughout our network of institutions. 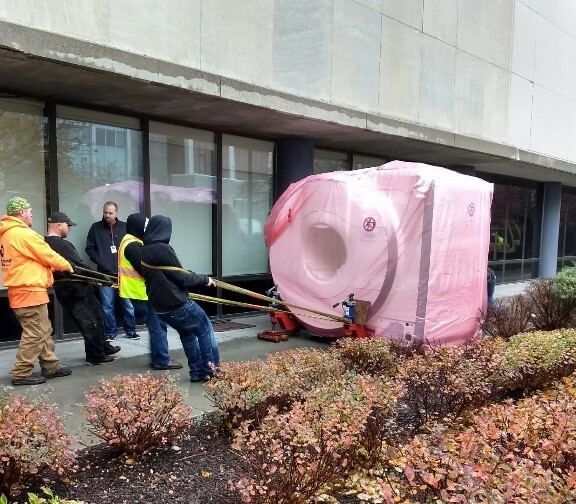 The MRI scanner was installed in late 2018 and research is already being conducted. A dedication ceremony took place on January 9th, 2019. 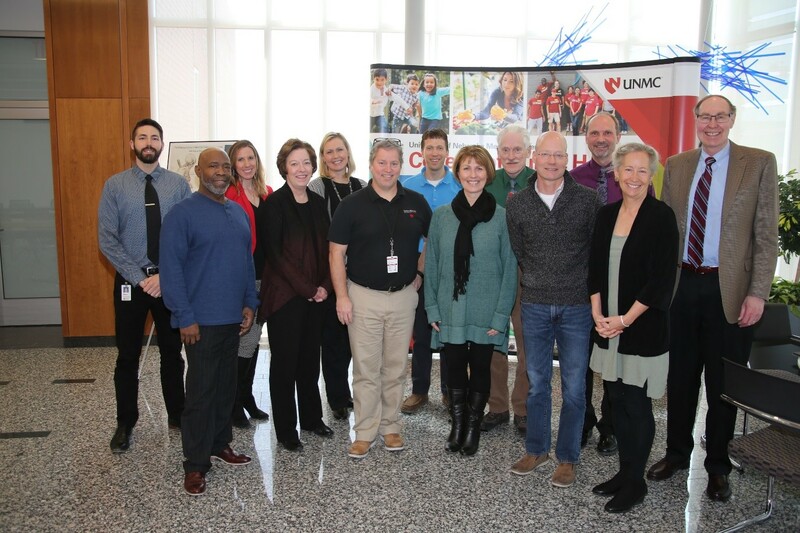 Click here to view the UNMC Newsroom article regarding the dedication ceremony. Jeanette Harder, PhD, is a professor in the Grace Abbott School of Social Work at the University of Nebraska at Omaha (UNO). Dr. Harder has formed more than 30 unique community partnerships through her STEPs program. Most of these are non-profit organizations and her work helps these community group to improve services and programs they offer. She was named Collaborator of the Year this year’s Annual Scientific Meeting, an award voted on by the public. Watch her inspired acceptance speech above in which she discusses the importance and benefits of collaboration. The fall season for us means hosting our Annual Scientific Meeting (ASM) once again. 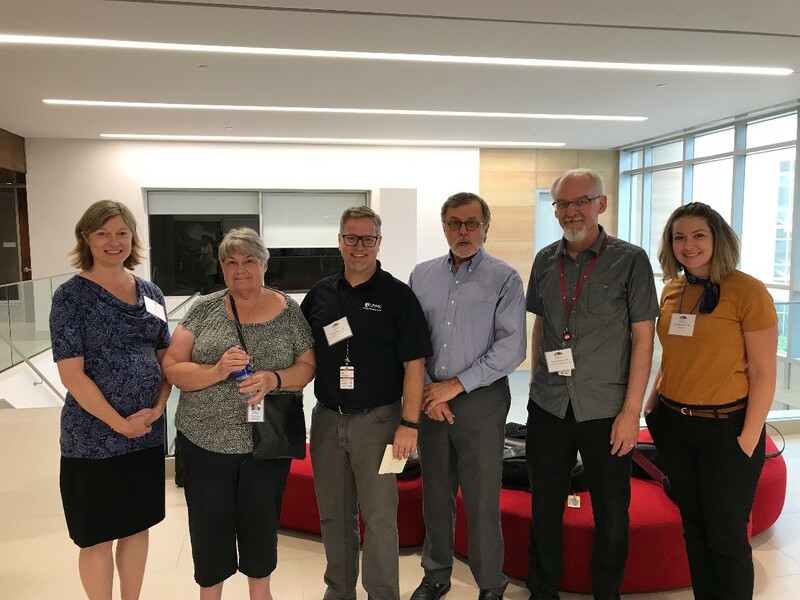 Our second meeting, hosted on October 10th and 11th, was yet another opportunity for the Great Plains IDeA-CTR Network to showcase its resources, partners, and researchers. This event brings together researchers, educators, administrators, healthcare professionals, public health experts, and many more. Over 200 people registered for the event which featured presentations about translating research across the clinical and translational spectrum, a panel to discuss study recruitment and retention, poster presentations, another highly anticipated “CTR Superstar” Competition, and an annual update regarding the resources and research supported by the network. 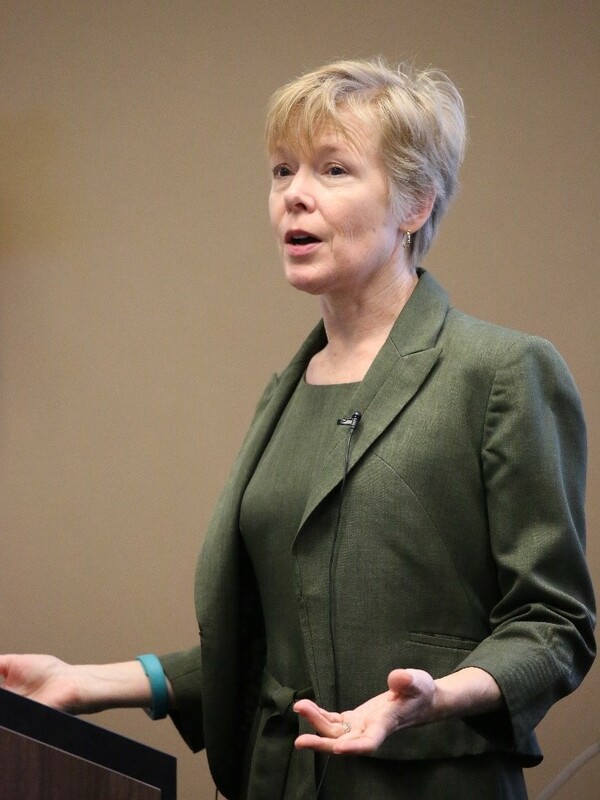 Team Science was the theme of this year’s two-day conference, and we were honored to host keynote speaker L. Michelle Bennett, PhD, Director of the Center for Research Strategy at the National Cancer Institute (NCI). Dr. Bennett discussed the importance of multidisciplinary teams as a strong catalyst for translating research. Her presentation, entitled “Team Science for CTR: A marathon not a Sprint,” highlighted the challenges of working within interdisciplinary teams and the characteristics that contribute to successful collaborations. This theme and Dr. Bennett’s presentation perfectly matches much of what we as a network hope to accomplish: researchers efficiently working with other researchers and community members across professions and expertise within a nurturing environment to produce better research results! James Linder, MD, Chief Executive Officer of Nebraska Medicine, also helped us kick off the meeting. Dr. Linder stressed the importance of investing in higher learning. Dr. Linder believes that this investment is what has led to the success we have seen as a nation and has also contributed to science and the world. Loretta Jophlin, M.D., Ph.D., assistant professor in the UNMC Department of Internal Medicine, Division of Gastroenterology and Hepatology, was awarded the “CTR Superstar” Award with her proposed study intended to create a diagnostic test to differentiate non-alcoholic fatty liver diseases (NAFLD) from alcoholic fatty liver diseases (ALD). Dr. Jophlin was presented a $20,000 award which is poised to bring new scientific advances to the care of patients with liver disease. This year also featured a new Collaborator of the Year Award which recognizes and awards the time and dedication of special individuals who work to improve the lives within in their community through research. 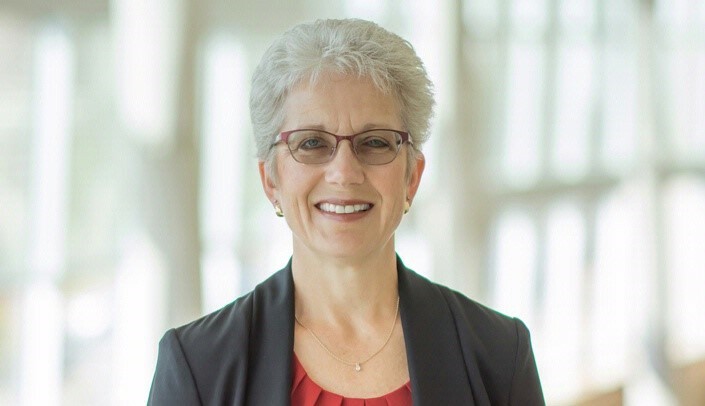 Jeanette Harder, PhD, who works at the University of Nebraska Omaha’s Grace Abbott School of Social Work, Public Affairs and Community Service earned the title this year and received her award at the ASM. Jeanette is the founder and director of the Support and Training for the Evaluation of Programs (STEPs) and has spent years working with various community and academic groups on a multitude of issues. Check out the full recap of the 2018 ASM where you can find the recorded presentations and other additional resources from the event. It is well known that clinical research plays a crucial role in advancing the diagnosis, treatment, and prevention of disease. Unfortunately, children are often underrepresented in clinical research, which significantly impacts the ability to provide evidence-based medical care for kids. In addition, there is often a mismatch between the locations where clinical research occurs and where disease is most prevalent. Racial and ethnic minorities, rural populations and patients of low socioeconomic status continue to be underrepresented in clinical trials and even more so among pediatric studies. Expanding our ability to perform high-quality, multi-center pediatric clinical trials that include underserved populations is essential to increase our understanding of child health, improve the generalizability of clinical trials data, as well as provide children with greater access to cutting-edge medical care. Building on the Institutional Development Award (IDeA) program infrastructure, the National Institutes of Health (NIH) developed the IDeA States Pediatric Network (ISPN) in order to begin to address these gaps in pediatric clinical research. As a part of the NIH-funded Environmental influences on Child Health Outcomes (ECHO) project, the ISPN engages institutions from 17 states across the country who have historically received low levels of federal funding. The overall mission of the ISPN is to improve the reach of pediatric clinical trials to rural and underserved populations, and to enhance clinical trials capacity at the institutions who serve these populations. In order to accomplish this, the ISPN is currently developing pediatric clinical trials that aim to address ECHO’s five main priority areas, including upper and lower airway disease, obesity, pre-, peri-, and postnatal outcomes, neurodevelopment, and overall positive child health. Current and upcoming trials include ACT NOW, which aims to improve care of infants with Neonatal Opioid Withdrawal Syndrome, and VDORA, which will investigate the use of vitamin D supplementation in obese children with asthma. As Nebraska’s representative in the ISPN, the Nebraska Pediatric Clinical Trials Unit (NPCTU) is backed by considerable institutional commitment and support from both the University of Nebraska Medical Center and Children’s Hospital & Medical Center. 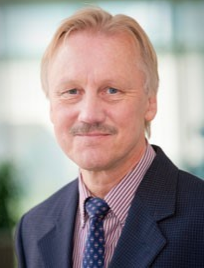 Led by Dr. Russell McCulloh, their team is actively working to engage junior investigators in ISPN-sponsored clinical trials, and to improve the overall quality of research by providing infrastructure and personnel support at all levels. In collaboration with UNMC’s Child Health Research Institute and the Pediatric Research Office, the NPCTU is looking forward to a future where all of Nebraska’s children have access to innovative research opportunities, and where more rural providers are engaged in clinical trials. 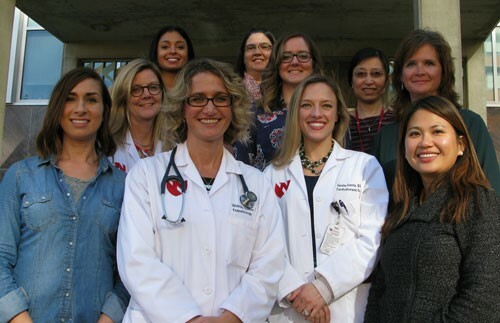 They are always looking to expand our network of collaborators, so if you are interested in learning more about potential research opportunities, please feel free to reach out to our team at npctu@unmc.edu or visit our website. Imagine a network of institutions that collected and studied a wide array of risk factors concerning cancer development and progression. And imagine if this network could share information across borders and medical disciplines to design strategies for prevention, screening, early detection, and treatment of cancer. Now imagine if a group of collaborators actually created this network and worked to improve the efficiency of cancer research methods. Well you don’t need to imagine it, someone already did. The integrated Cancer Repository for Cancer Research (iCaRe2) is a nexus of cancer-related information made available by and for patients, caregivers, researchers, and physicians. 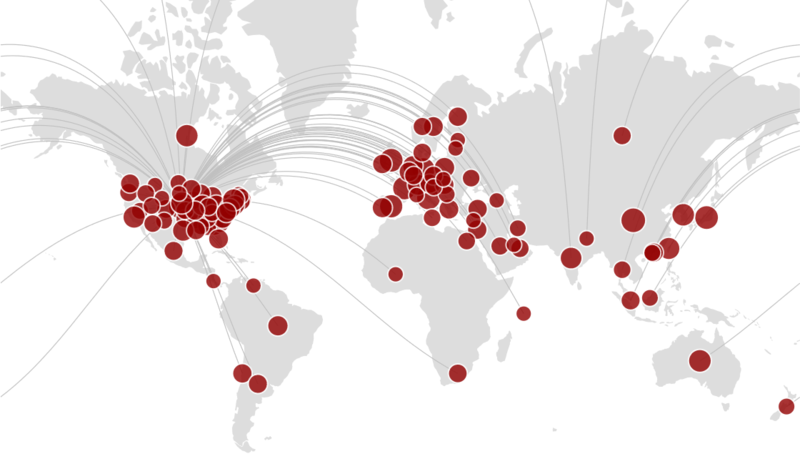 The iCaRe2 was created by the Fred and Pamela Buffett Cancer Center and is currently utilized by 58 institutions (81 distinct sites) from 23 U.S. states and one center in Italy. Their overall goals are to enable comprehensive studies of risk factors for cancer development and progression and to help develop novel strategies for prevention, screening, early detection and personalized treatment of cancer. How does it work? Physicians from the iCaRe2 institutions enroll eligible participants (adult cancer patients and high-risk individuals) into one of the 15 registries. iCaRe2 coordinators enter the clinical information while participants fill out the questionnaire, donate blood, and agree to make the collected data available to other collaborators. This allows researchers access to an array of cancer-related data from multiple regions as opposed to being limited to collecting data from a small pool of subjects based on a single region or an institution. Simply put: better, high-quality data leads to better, high-quality research. There is even a registry for controls (people who have not been diagnosed) to act as a comparison group. As of October 1, 2018, data on more than 25,000 subjects (cancer patients, high-risk individuals, and normal controls) along with more than 95,000 biospecimens have been collected in the iCaRe2 registries, which include breast cancer, thyroid cancer, pancreatic cancer, and many more. The hope is that this registry will provide data to help with advancements in science, referred to as the “bench-to-bedside” approach. Anyone interested in learning more about iCaRe2 can go to their website to find more information. Patients and caregivers who are interested in learning more about iCaRe2 will want to check the For Patients page for instructions on how to sign up. Although 100% preventable, fetal alcohol spectrum disorder (FASD) is one of the most common birth defects in the United States. 10% of women report ever consuming alcohol during pregnancy, and recent studies indicate that up to 10% of children may have symptoms of FASD. FASD is related to a lifetime of developmental difficulties, and therefore, is an important public health issue. Although there are programs geared towards preventing FASD that are focused on reducing alcohol use or preventing unwanted pregnancy, one critical factor that is often ignored in developing these programs is the role of intimate partner violence. Women who are in violent relationships are more likely to have substance use disorders, unwanted pregnancies, and drink while they are pregnant. Some communities, such as rural areas or American Indian/Alaskan Native communities, have disproportionately high rates of FASD, as well as higher rates of intimate partner violence, and substance misuse. These areas are often challenged by allocating a limited number of resources to address a number of pressing health needs, and often lack the needed amount of resources that can dually address substance use and intimate partner violence issues for women. The goal of Dr. Arielle Deutsch’s project is to examine community readiness and current resources within a tribal community in rural South Dakota related to reducing FASD by addressing the joint impact of intimate partner violence and substance abuse. 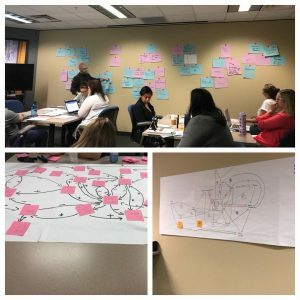 Arielle is working with a longstanding tribal domestic violence shelter in the tribal community, to not only gather information, but also develop a coalition board that will work together to create a multi-tiered action plan for reducing substance use and intimate partner violence within the community. The overarching goal of this project is to cultivate a working relationship with advocates for Native health and wellness, who together will develop community based, high-efficacy programs for health built on current community strengths. A more immediate goal of the project is to raise awareness of the strong relationship between trauma and substance use, and the importance of addressing trauma in substance use recovery. In addition, she wants to increase community knowledge about the role of intimate partner violence and trauma in multiple aspects of child development, prenatally and postnatally. It is our hope that we can improve understanding of how intimate partner violence is not just a private issue, but a public health concern that hurts families and communities. With better knowledge, communities will be better equipped to help work on active changes and improved policies and programs geared towards reducing intimate partner violence, substance use, and improving health for current and future generations. For more information on substance abuse and pregnancy, refer to the NIH website. You can also find resources relating to intimate partner violence at the NIH National Coalition Against Domestic Violence (NCADV) or at StrongHearts Native Helpline. Distress affects almost everyone diagnosed with cancer. About one-third of women with breast cancer experience significant enough distress that they feel anxious, depressed, and frequently distracted by thoughts of cancer. Many women describe a rollercoaster of emotions with both good and bad moments recurring numerous times throughout their day. These extremes of thoughts and feelings make it difficult for women with a new diagnosis of breast cancer to concentrate at work and enjoy life. Help, however, is available. Robin Lally, PhD, MS, BA, RN, AOCN is a Professor in the College of Nursing at the University of Nebraska Medical Center who designed and created, with the help of healthcare experts and breast cancer survivors, a web-based, distress self-management program called CaringGuidance™ After Breast Cancer Diagnosis for women newly diagnosed with breast cancer. CaringGuidance™ offers women and families tools, strategies, and supportive validation for managing the thoughts, emotions and everyday distressing experiences. And, since communication with health care providers is key to receiving help for distressing cancer issues, CaringGuidance also contains a Summary Report that women may electronically create in a single page to summarize their most important concerns and facilitate communication with their clinician. Dr. Lally was awarded a Great Plains IDeA-CTR pilot study grant to test the CaringGuidance™ Summary Report among women treated for breast cancer at the Fred & Pamela Buffett Cancer Center. Her team is interested in learning what women who use the CaringGuidance™ program for a few weeks think about how the Summary Report works, whether it is easy to use and if it contains what they find important to better communicate with their oncology clinician. They are also learning whether this helps women initiate a conversation about their thoughts and emotions during their appointment with their oncologist. This information will be used to redesign the Summary Report, making it even more useful to facilitate, communicate and help women receive distress-reducing help from their oncology clinicians. One woman has completed the study and a second woman will complete it soon. Stay tuned for the final results of this study and be sure to check out the other Pilot and Scholar projects we support. We hosted a Community-Based Participatory Research (CBPR) Mentoring Workshop in May which was developed to train academic researchers and community partners interested in mentoring of, and engaging community in translational research. In addition, the workshop was designed to support mentoring of academic researchers interested in community-engaged research. The workshop, sponsored by the Great Plains IDeA-CTR in conjunction with UNMC College of Public Health, Center for Reducing Health Disparities, and College of Nursing, included dynamic presentations and a panel discussion to describe and discuss foundational principles of CBPR to engage communities. Targeted to academic researchers and community partners interested in CBPR, over 30 people attended the workshop from the Midwestern region. The event started with a welcome and introduction to the Community Engagement KCA from the co-directors Drs. Paul Estabrooks and Risto Rautiainen. They explained the aims of the KCA and the importance of engaging the local and regional community in translational research. Dr. Keyonna King – Assistant Professor at the College of Public Health, Center for Reducing Health Disparities – provided an introduction to community-engaged research and the ethical principles of CBPR. She emphasized the importance of engaging community in research and provided real world examples of successful community-academic partnered research adhering to the CBPR ethical principles. We were honored to host our keynotes speakers, Dr. Kenneth Wells, Professor of Psychiatry and Biobehavioral Sciences at University of California Los Angeles (UCLA), Dr. Loretta Jones, activist, CEO, and Founder of Healthy African American Families II, and Ms. Felica Jones, Director of Programs at Healthy African American Families in Los Angeles, California. In the morning, Dr. Wells and Ms. Felica presented on their successful, federally funded, community-academic partnered intervention, Community Partners in Care (CPIC), to reduce disparities in depression outcomes in African Americans and Latinos in Los Angeles County. Their presentation described the successful use of CBPR to engage communities in improving depression outcomes. In the afternoon, Drs. Wells and Jones provided their perspective and recommendations for mentoring faculty, staff, and community interested in community-engaged research. They described nationally and locally successful mentoring programs they have led including but not limited to the Clinical Scholars Program, Community Faculty program at Charles R. Drew University/UCLA, and the National Center for Community Partnership Network. Rounding up the day was a panel of local and regional community-academic partners who described the formulation of their partnerships and projects to address various health or educational concerns. 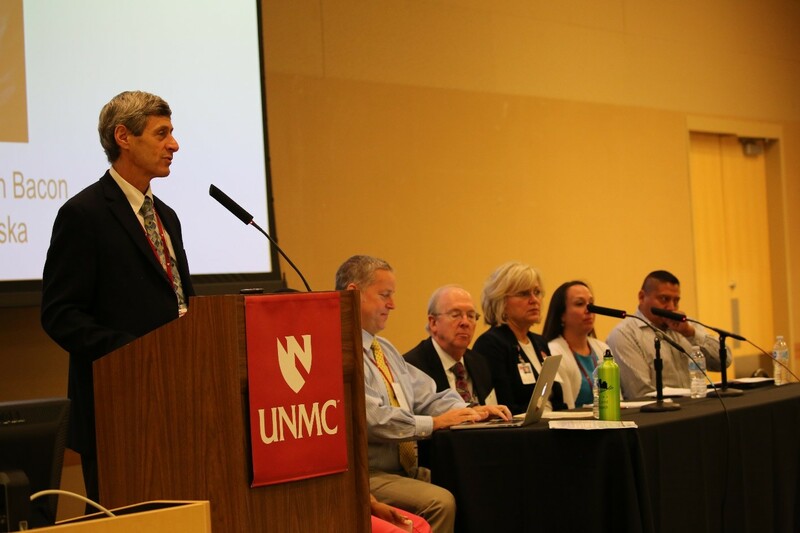 This was the first workshop of its kind at UNMC with a Part II follow up tentatively scheduled for the fall. You can visit our Workshop Videos page to view the sessions from our CBPR workshop or any of the workshops we’ve recently hosted. Stay tuned for information on Part II. Our third Community Advisory Board (CAB) meeting was hosted this April. 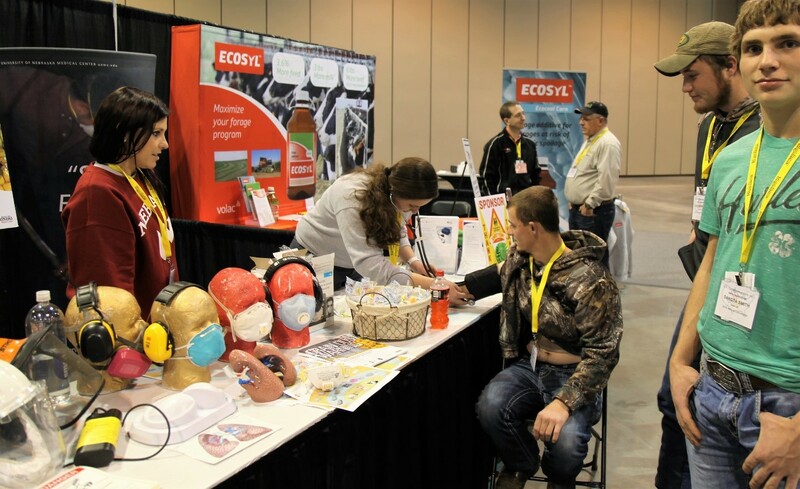 Members in attendance included representatives from community advocacy groups, rural health clinics, local health departments, and health systems. It was great to welcome a few new members and see the CAB in action as we discussed important and relevant issues pertaining to our collective community. Members reviewed the overall goals and expectations of the CAB and highlighted the aspects of information dissemination and priority setting of the group. Our Health Priorities List, enacted at the previous meeting of the CAB, was addressed and we decided that the list would be looked into and possibly revised at the meeting we have planned for the fall of 2018. Members were given a full update of the GP IDeA-CTR Network including the status of our Pilot and Scholar grants as well as newly available resources such as our Collaborators Registry Dr. Rob Schwab, MD, was on hand to lay out our strategy to strengthen and expand Practice-based Research Networks (PBRNs) in the region through connections and outreach. The “big ticket” item of this meeting was the CAB’s ranking of our Community-Academic Partnership (CAP) Program pilot applications. Our CAP Program was initiated to address real-world health issues affecting our communities through collaborations between researchers and community members. After we released our request for applications back in December 2017, we received 14 applications. Those that qualified were reviewed by our science team and the top 5 scores were presented to the CAB to be ranked in order of importance and relevance from their perspective. The proposals at the top of the list will go through an approval process and the selected project(s) will be announced soon. We still have much work to do across the network if we intend on building the research infrastructure necessary to address the major health concerns persistent in our communities. But we are very fortunate to have access to a group of community representatives capable and willing to dedicate their time and expertise to help us with this endeavor. In the meantime, we will post CAB updates to this blog as they occur. As the Community Engagement and Outreach Core of the Great Plains IDeA CTR Network, we work towards bridging the gap between research efforts and community needs. We recently discovered an opportunity to improve health and wellness in communities through the development or testing of programs and interventions that are impactful and sustainable in a community setting. A funding mechanism was developed that would require a partnership between academic researchers and community groups currently working to address a health priority. What ultimately became known as our Community-Academic Partnership (CAP) Program is based on existing programs already proven successful by other CTRs and CTSIs. A funding opportunity was announced in December 2018 and by the January 31st deadline, we had received 15 applications. Two types of awards were made available through this program. The Project award was established to generate preliminary data to assess the feasibility and acceptability of community intervention programs. The Planning award was designed to provide seed funding for investigators working to (1) develop or engage community advisory boards for project design or planning purposes or (2) engage Practice Based Research Networks to identify local priorities and begin project planning. Both awards needed to outline an existing or forming partnership between researchers and a community group and both needed to address an issue cited in our Community Advisory Board’s Health Priorities List. All too often, programs and interventions that are based on the results of academic studies fail to take into account the implementation challenges and realities of those in the community. This issue may lessen the potentially positive impact of community-based research. On the other hand, a strong partnership between academic researchers and the community during the design, implementation, and dissemination stages of research can lead to more effective programs and reduce health disparities. Our hope is that by including the community as research partners, not just research subjects, we can advance community-engaged research and therefore improve health outcomes. If we wish to create a better connection between research and communities, then the voice of the community needs to be present when developing and conducting community-centered projects. A major tenant of the CEO’s mission is prepare community members to not only participate but to be active research partners in the type of research that will have immediate and beneficial impact on their communities. However, any research partner who has access to participants and research data must go through the appropriate training to ensure the safety and ethical treatment of subjects and materials. Final approval for most research grant submissions involve some form of standard required training for all research partners listed on the application. Fortunately, the Collaborative Institutional Training Initiative (CITI) Program was developed for this very reason. The CITI Program is “dedicated to promoting the public’s trust in the research enterprise by providing high quality, peer-reviewed, web-based educational courses in research, ethics, regulatory oversight, responsible conduct of research, research administration, and other topics pertinent to the interests of member organizations and individual learners.” This program, initiated in 2000, was created to provide a standard of training for the conducting of ethical research and applies to any research partner. While academic researchers are accustomed to undergoing this type of training, community researchers may be less experienced. We have developed a simple training guide to help start the processfor any member of the community who wants to be involved in the planning, recruitment, or implementation of a community-engaged research project. And as always, we are happy to assist any community member wanting with answers to questions they might have. Our hope is that more academic researchers will reach out and engage communities in research and that those communities will be prepared to assist them when they do. We have found that one of the best ways to strengthen and improve research is through collaboration. Collaboration can involve two or more researchers working together to create something better than they could individually. Collaboration can also involve researchers partnering with different organizations or community groups. Our CTR network strives to improve the research infrastructure in our region by fostering researcher-to-researcher – or researcher-to-community – collaboration. Using an interdisciplinary, cross-institutional approach can strengthen the design, execution, and results of CTR studies. To this end, we are constantly searching for new and more effective ways to bring people together. We are fortunate to have access to a new comprehensive collaboration tool. Powered by Pure, Scopus, and Elsevier Fingerprint Engine, “Research Nebraska” was created to connect biomedical, engineering, informatics and life sciences investigators and support research collaborations. The Great Plains IDeA CTR Network has a branch of this engine specifically dedicated to our members across the region, including Nebraska, South Dakota, and North Dakota. This tool enables network members to view our registered members, research areas, ongoing projects, publications, and more. It is user friendly and frequently updated to better serve its users. You can click HERE to learn more about this collaborative tool or click HERE to go directly to our dedicated section of Research Nebraska. Whether you’re a member of a community organization hoping to find a researcher to investigate a health issue or a researcher searching for another researcher with expertise in a certain field, this comprehensive tool is an easy and effective way to find and engage other researchers in collaborative initiatives. In addition, the Community Engagement and Outreach (CEO) Core is always available for face-to-face or teleconference consultations to help bridge the gap between research and the community. Practice-based Research Networks (PBRNs) are networks of clinicians and practices collaborating to answer health care questions that turn research findings into practice. While still treating patients as a normal clinician or practice would, PBRNs have taken the additional opportunity to explore issues related to improving patient care. Some PBRNs conduct research in specific areas such a rheumatology or mental health while others are more generalized and study quality improvement activities or access to care. Regardless of the area of study, PBRNs have integrated practice and research to address major issues in the realm of health care. Over the last decade, the number of PBRNs in the U.S. have grown substantially to help meet the needs of an ever-changing healthcare environment. The Agency for Healthcare Research and Quality (AHRQ) is a national organization tasked with providing evidence to “make health care safer, higher quality, more accessible, equitable, and affordable.” This mission includes reporting on PBRNs, providing tools and resources, hosting events, and maintaining a registry. You can learn more about their role here. As part of our charge to improve the research infrastructure in the Great Plains region, we seek to increase the visibility of folks on the frontlines of health research and support their work. For this reason, we have developed a PBRN Directory to discover local PBRNs, find out what kind of work they do, and track their progress. And of course, there are opportunities for collaborations with these networks as well; most of our PBRNs have their contact information included in the directory. We also consult with our Community Advisory Board and our Steering Committee to develop strategies that could help expand and strengthen our local PBRNs. Further developing the networks of PBRNs would be a great opportunity to improve healthcare in our region. The event formally kicked off with a message from Principle Investigator, Dr. Matt Rizzo, followed by a few words from UNMC Vice Chancellor of Research, Dr. Jennifer Larson, and the Vice Chancellor of Academic Affairs, Dr. Dele Davies. It was a privilege to have keynote speaker, Dr. Christopher Austin of the National Center for Advancing Translational Science (NCATS), give insight into the direction of CTR as well as the opportunities therein. The meeting also featured a panel discussion involving community participation in research, another panel discussionrevolving around the relationship between research and community priorities, a mock review session, and interactive workshops for topics such as grant writing, community engagement, data resources, and bioinformatics. This event also gave our CTR Scholar and Pilot Award winners a chance to discuss their work including the progress they’ve made and potential future directions. We were honored that so many health professionals and researchers were able to attend. We hope that attendees found opportunities to learn and to network; establishing collaborations is something we strive for. We look forward to hosting again next year. Dr. Soonjo Hwang, MD is an Assistant Professor in the Department of Psychiatry at UNMC. He is also a recipient of the 2017 Great Plains IDeA CTR Scholar Award. Get more information on his study HERE. Daniel Rasetshwane, PhD, is the Director of the Auditory Signal Processing Laboratory at Boys Town National Research Hospital. He is also a recipient of the 2017 Great Plains IDeA CTR Scholar Award. You can find more information on his study HERE. 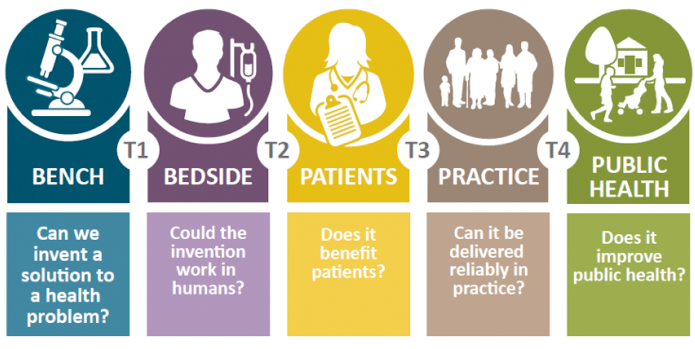 On August 14th and 15th, the Great Plains IDeA Clinical and Translational Research Network will host a workshop to help scientists develop and refine ideas for grant proposals that focus on T3 and T4 dissemination and implementation research. We have a keynote by Dr. Russ Glasgow, an international expert in implementation science and lots of local speakers with expertise and experience getting funding for this type of research. T3 and T4 research projects are intended to move science forward while also having a community impact, so if this is the type of applied work you would like to do or your community would like to engage in, come and join in for our workshop. 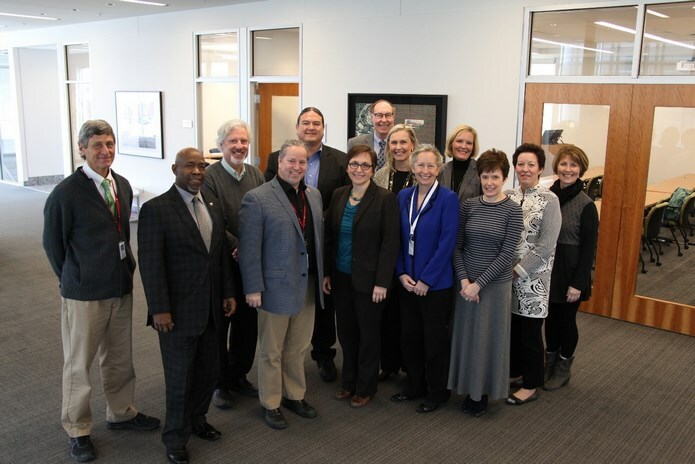 Our Community Advisory Board (CAB) is a diverse group of individuals from different backgrounds and professions who are committed to assisting the Great Plains IDeA CTR Network in improving health outcomes in the region. Because CAB members understand a broad range of community health needs, they are expected to provide recommendations about research projects that are most needed to address community health issues, particularly in rural and urban underserved areas. 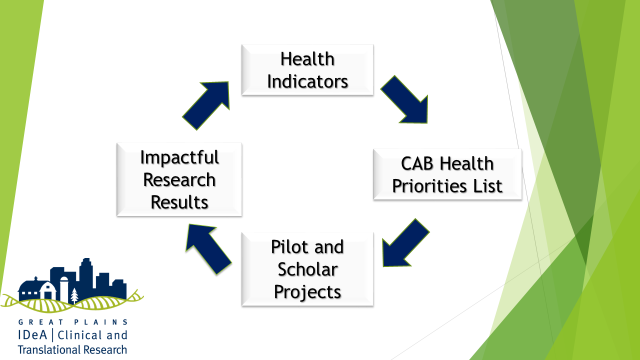 The major CAB activities include: identifying gaps in educational and training materials that promote community health research studies, reviewing Pilot and Scholar grant applications to assess community impact, identifying ideas for potential community-engaged research projects, and encourage the expansion of practice-based research networks (PBRNs) in the region. However, the most important function of the CAB is to identify and prioritize regional health issues based on their combined expertise and knowledge of their communities. South Dakota, North Dakota, and Nebraska are all represented in our CAB and we have 15 members in total. To learn more about our CAB members, visit the Community Advisory Board page on our website. The CAB meets twice a year and the first meeting was held on March 14th, 2017. Members were given introductory presentations by our Administration, Pilot, and Professional Development Cores. The Co-director of our Clinical Research Design, Epidemiology, and Biostatistics Core, Shinobu Watanabe-Galloway, Ph.D., also gave an in-depth presentation of the major community health issues in our region. A state-by-state analysis shows that each of the Great Plains states in the network have certain strengths and challenges which can lead to prominent health issues to their respective populations. Among the most concerning issues overall are obesity, excessive drinking, and issues related to access to care. During the meeting, CAB members discussed and identified a preliminary list of health priorities. When the CAB reconvenes in the Fall, the list of health priority issues will be finalized and used to help shape the focus of the research grants as we move forward. Our Community Advisory Board (CAB) is a diverse group of individuals from different backgrounds and professions who are committed to assisting the Great Plains IDeA-CTR Network in improving health outcomes in the region. 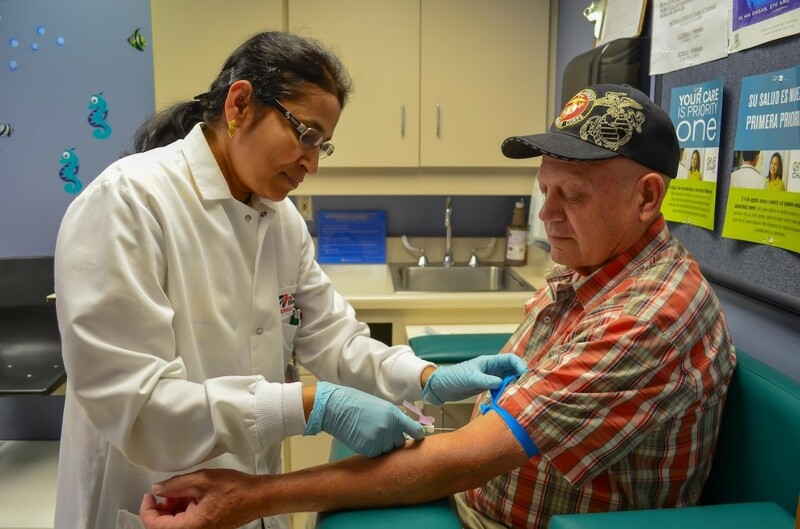 Because CAB members understand a broad range of community health needs, they are expected to provide recommendations about research projects that are most needed to address community health issues, particularly in rural and urban underserved areas. The major CAB activities include: identifying gaps in educational and training materials that promote community health research studies, reviewing Pilot Grant and Scholar Award applications to assess community impact, identifying ideas for potential community-engaged research projects, and encourage the expansion of practice-based research networks (PBRNs) in the region. However, the most important function of the CAB is to identify and prioritize regional health issues based on their combined expertise and knowledge of their communities. South Dakota, North Dakota, and Nebraska are all represented in our CAB and we have 15 members in total. To learn more about our CAB members, visit the Community Advisory Board page on our website. We are excited to introduce Community Conversations – a new monthly blog promoting Clinical and Translational Research (CTR). As Director of the Great Plains IDeA-CTR Community Engagement and Outreach (CEO) Core, it is my pleasure to present the first post as it gives us the opportunity to introduce ourselves and give insight into who we are and what we do. The CEO Core provides a link between CTR investigators and community partners in the region we serve. By acting as a portal between researchers and community, we hope to provide tools and information that helps to achieve our long term goal – a healthier population. In coordination with our Community Advisory Board (CAB) and participating institutions, we disseminate research findings and obtain input from the community, assisting researchers to design studies that respond to priorities identified by community members. This monthly blog will cover topics that may be of interest to both researchers and the public. Community Conversations is an outlet for news and updates concerning the Great Plains IDeA CTR Network. Features will include upcoming community events and training opportunities, updates from CAB meetings and CTR seminars, stories from our collaborators and investigators, ongoing clinical trials, study results, grant opportunities, information about telehealth tools, and more. Anyone interested in submitting news or stories relating to CTR or community-based research opportunities should feel free to contact us. We hope that you find this blog informative and engaging as we highlight research findings and bring the community’s voice to everyone in the Great Plains IDeA-CTR Network.